Modern skinny jeans crafted from stretchy raw denim uphold a clean, classic look in a deep indigo rinse. Washing breaks down the softness quickly, but denim specialists suggest leaving raw denim unwashed for as long as possible to produce a more natural, one-of-a-kind appearance. 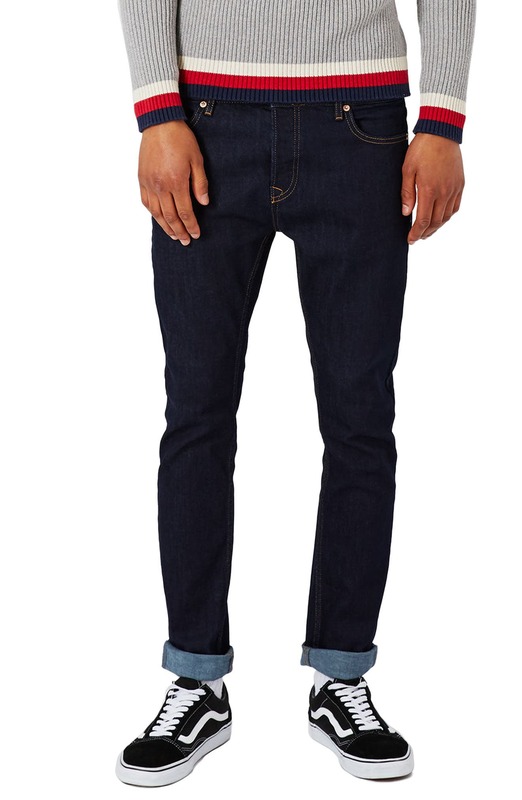 Style Name: Topman Stretch Skinny Fit Raw Denim Jeans. Style Number: 5388719. Available in stores.